The Future of Interpreting & Translating – Professional Precariat or Digital Elite? Interpreters being paid by the minute (or hour) nowadays does not seem as inconceivable as it used to be. Technically speaking, small worktime and payment units have become easier to handle, thus more probable to be applied. The question arises if working and being paid on a micro or macro level, as the two extremes, bring about any special advantages or disadvantages for interpreters/translators and their customers – a question I would like to share some thoughts with you about, paying special attention to the information and knowledge aspect. 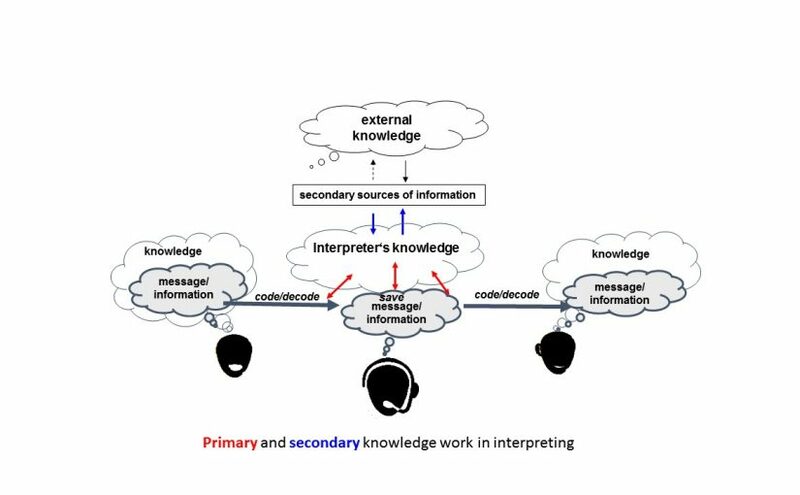 Interpreters and translators are knowledge workers constantly moving back and forth between different linguistic and technical knowledge systems. In order to do so, they rely on their own knowledge base being complemented by external information sources. This consultation of external sources is what I call “secondary knowledge work”, it is performed in order to properly perform the actual, primary knowledge work, i.e. the interpreting assignment or translation at hand. Interpreters do so mainly during preparation and, to a limited extent, on the job when doing ad hoc research and after the job while a translator’s secondary knowledge work tends to be more intermittent and less clearly distinguishable from the primary task of translating. What interpreters need to know in order to interpret a certain speech goes far beyond the text itself both technically, linguistically and pragmatically. In a macro knowledge work scenario, they have indeed acquired this knowledge. Ideally (but not necessarily) they are all-round language service providers to companies and organisations – cooperating if need be with a team of freelance colleagues – taking care of anything ranging from translations (documentation, website, brochures, meeting documents, even short emails) and terminology to interpretation of meetings, sales events, negotiations and short phone calls. 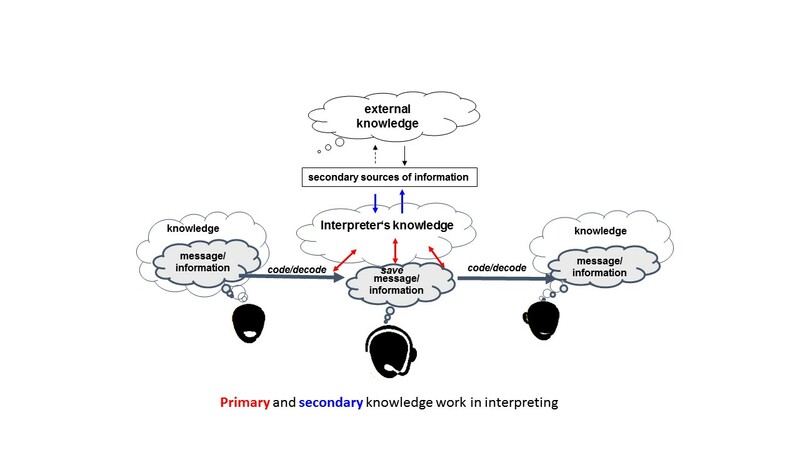 Micro work elements like interpreting (or making) the said phone call, answering spontaneous terminological questions or translating single sentences smoothly integrate into the macro level of long-term, relatively large-volume language service provision. There is no need for extensive secondary knowledge work in order to familiarise with the respective industry, company products, background and intentions of the persons involved and the company terminology and typical jargon, the background knowledge as a decisive production factor having been acquired (and financed) in the course of the long-term cooperation. Primary and secondary knowledge work go hand in hand. In this scenario, a company may well draw from the extensive insight the interpreter or translator has and rely on their professional judgement and advice. Sometimes the cost and effort of recruiting a proper specialist would by far exceed the benefit. This is the case when no context knowledge is required to fulfil the task or when quality simply does not pay off. If the customer lives off selling very cheap products and needs multilingual categorising or key word finding for tons of products just to feed the search engines, then less quality for less money is a business case. A company may give thousands of words to a dozen translators and have them translated in no time, saving time and money by not investing in the meaningful translation of a text that, after all, has a very life-expectancy. When confidential matters are interpreted, like in medical or legal interpreting, the customer would rather see the insight gained by the interpreter disappear without traces from the interpreter’s memory, just like current assets in a factory, rather than make use of it. Under certain circumstances context knowledge may even be a caveat when, for example, unbiased and unprejudiced views are required and, in the opinion of the customer, an informed interpreter might be prejudiced and render a pre-filtered version of what is being said on the basis of what he or she considers important or unimportant. In all these cases, no secondary knowledge work is required, and everyone is just fine with the interpreter mentally operating within a confined space of information. However, in most interpreting settings the task becomes extremely difficult without a wider view on the technical, linguistic and pragmatic background. When remuneration is based on larger units – like in the case of employees’ monthly or annual salaries – the long-term benefit provided to the company or organisation by the employee based on their experience, training, soft skills etc. positively influences the amount being paid (macro payment). The largest usual payment unit for freelance interpreters is a day and for translators an hour (if not paid by the word or line). Without an in-depth survey it is hard to tell whether the knowledge acquired in the long run by the interpreter, as well as the time required for the secondary knowledge work dedicated to a special assignment, are factored in when these fees are calculated. Conference interpreters tend to argue that their daily fees include preparation. However, when analysing the typical cost structures, this often turns out not to be true (see AIIC Blog article about this subject). Generally speaking, the larger the work volume the smaller will be the proportion of secondary knowledge work in relation to the primary task. This is due to a certain scale effect when working on a macro level, for the effort of familiarisation/knowledge acquisition can be allocated to a larger amount of work. This may be a long and/or repeated assignment or the sum of translation plus interpreting plus any other minor linguistic support like phone calls and emails, provided that these tasks are in a way interrelated. For example, interpreters being present at a meeting have translated the documentation beforehand or translate the minutes afterwards and also interpret the occasional phone call between the meeting participants. As they are familiar both with the subject matter and with the people involved, they will not have to prepare as much as someone unfamiliar and, more importantly, be able to compensate the loss of visual and contextual information on the phone and read (or hear) between the lines more easily. Larger work volumes tend to be remunerated in larger payment units. Let’s say a two-day interpreting assignment will hardly be paid by the hour, whereas this might be the case for a two-hour job and a customer might tend to pay a fifty-minute job by the minute. However, if a small one-off project involving a small amount of micro working units (minutes) is not embedded in a long term, macro-type of cooperation but “informed” interpreting is still required then macro payment will be more appropriate in order to account for the secondary knowledge work required. It does not necessarily have to be in big payment units as long as the preparation effort is factored in. However, this may be easier to factor into bigger payment units. In translation, payment in small units like words or lines (i.e. characters) has been common practice for a long time. In interpreting, it is becoming increasingly popular at least from the customer side what with Voice over IP and remote interpreting techniques. Crowd sourcing platforms offer a superb technical environment for assigning micro jobs and will be happy to inform crowd workers about their excessive pricing (without knowing their cost base) simply based on a comparison of prices indicated by their competitors. With smaller payment units, the focus may be reduced to mere primary knowledge work with the secondary knowledge work being lost out of sight and thus not being factored in both time-wise and financially (micropayment). This may be a sensible thing to do for the reasons mentioned above – basically if the job at hand requires low qualification. It may, however, happen accidentally – i.e. when “informed” macro knowledge work is required and the additional effort of macro knowledge work is not assigned to the small payment units. The idea of working and paying on a macro level while using small payment units may sound contradictory at first. But it works perfectly well for many translators provided they don’t calculate their fees on the basis of some words being typed away. The same goes for interpreting, which might even be charged by the minute as long as the scope of the calculation is not limited to the mere physical presence of the interpreting person. It may, however, be difficult to calculate if the amount of minutes needed is unknown beforehand. If, for example, a price per minute were to be fixed for “over the phone” interpreting, this would have to vary in the extreme according to the number of minutes bought. If the interpreter prepares three hours and charges 80 EUR/hours worked then the price per minute will have to be 240 EUR for one minute interpreted, 48 EUR/minute for five minutes interpreted (not counting the actual minutes of interpretation so far) and 5.50 EUR/minute for 60 minutes interpreted. The principle (and difficulty) of calculating volume discounts becomes quite clear here. Crowd sourcing and job platforms first and foremost facilitate the search for and selection of interpreters and translators for both large and small jobs. In translation business, translation memory systems (if possible cloud-based) may then help in having many different people work on one text simultaneously. On the other hand, those systems also offer positive solutions for long term cooperation with reliable data bases growing over time –a perfect support for efficient macro knowledge work with benefits for both sides. In interpreting, so far no similarly beneficial technical development can be reported, at least not to my knowledge. If there is something I have missed out on, please let me know in the comments! 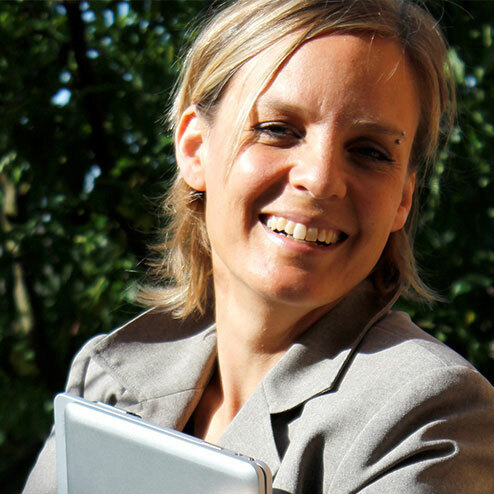 Veröffentlicht am Mai 31, 2016 Juni 7, 2016 Kategorien AdminSchlagwörter conference interpreter, Crowd sourcing, Dolmetscher, Dolmetschhonorare, fees, Honorare, Honorarkalkulation, interpretation fees, knowledge worker, Konferenzdolmetschen, macro knowledge work, macro payment, micro knowledge work, micro payment, secondary knowledge work, translation fees, translator, Übersetzer, WissensarbeiterSchreibe einen Kommentar zu The Future of Interpreting & Translating – Professional Precariat or Digital Elite?